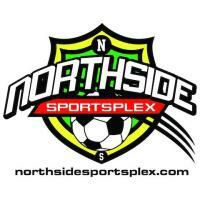 Description: WHAT IS Firness CAMP: Northside Sportsplex Fitness Camp is a fitness program designed to help you burn fat, build lean muscle, improve your cardiovascular strength and improve your overall health. The program consists of 1 hour sessions, 3 days a week, lead by a certified personal trainer. The workout uses dumbbells, bands, medicine balls, and more. Each workout is different and follows a circuit training system utilizing functional movements.